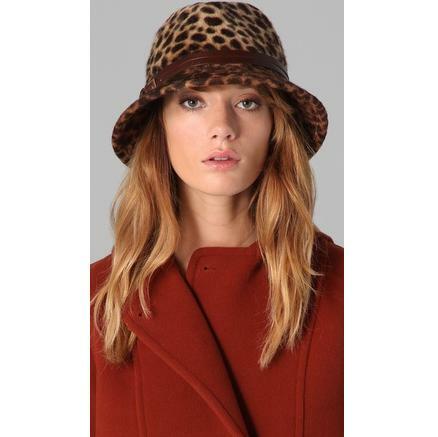 This Cheetah print angora-felt hat features buckle details at the leather bands. * 2.5″ brim. 4.5″ crown. * 100% angora with calfskin trim.